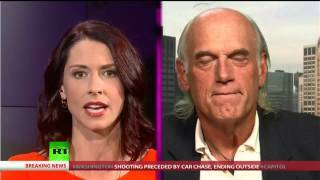 Abby Martin speaks with former Minnesota Governor Jesse Ventura, about his new book ' They Killed our President', going over the most compelling reasons why he thinks the assassination of JFK was a conspiracy, Bin Laden's death, and his potential presidential run in 2016 with Howard Stern. Jesse Ventura Breaks the Set on JFK Conspiracy, Running with Howard Stern for President. ... 10 Conspiracy Theories that turned out to be TRUE!